An organization advocating safer trucking is calling upon Congress to introduce initiatives aimed at reducing deaths and injuries resulting from tractor-trailer and passenger vehicle crashes. Road Safe America, Parents Against Tired Truckers (PATT), and the National Coalition for Safer Roads joined more than 50 organizations and individuals in penning a letter to Congress encouraging the revival of heavy vehicle speed limiters and automatic emergency braking. “Recently released data from the National Highway Traffic Safety Administration shows that truck crashes, and the resulting injuries and deaths, continue to increase year after year despite the fact that total truck vehicle miles traveled has effectively remained stagnant since 2009,” the letter said. 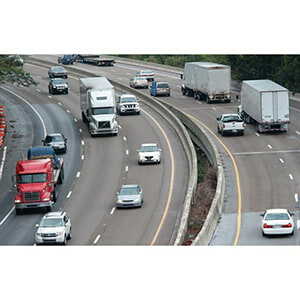 The Federal Motor Carrier Safety Administration presented a proposed rule in 2016 that would have required trucks to be equipped with speed limiting devices set to a maximum speed of between 60 and 68 miles per hour, but it has gained little momentum. As proposed at the time, the rule would have given manufacturers until September 2020 to comply. Crashes in which a large truck rear-ended a passenger vehicle increased by 82 percent from 2009 to 2016. J. J. Keller's Defensive Driving for CMV Drivers: Manage Speed & Space - Online Training Course helps drivers recognize how to effectively manage speed and space.